To start this card, I adhered some aqua and white polka dot paper onto a card base. 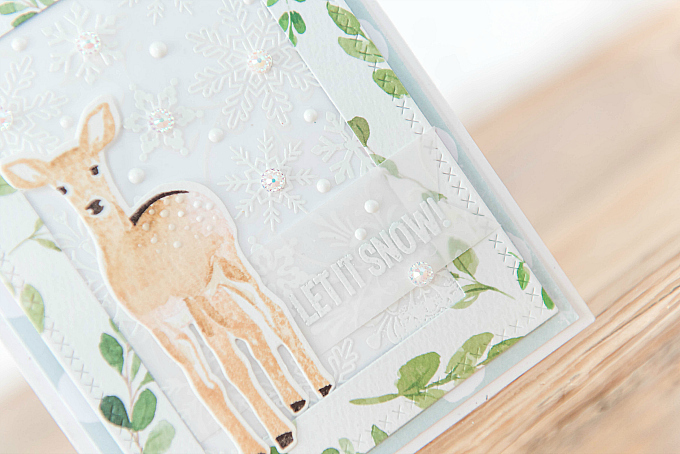 I then used various snowflake stamps to stamp my background with Versamark ink, and white embossing powder to emboss all the flakes. 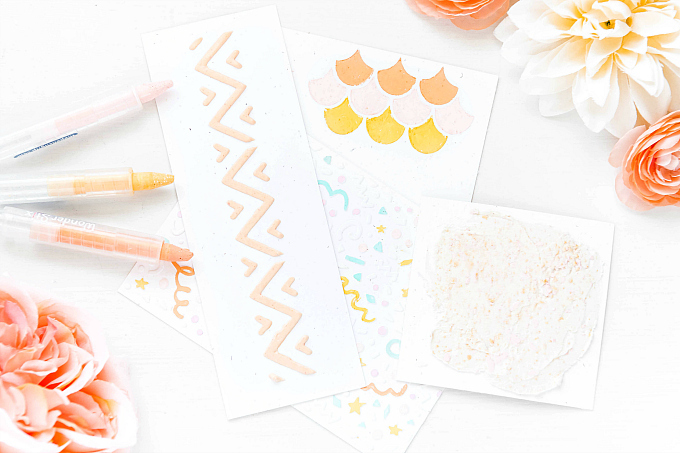 A background stamp like this one would work wonders here! 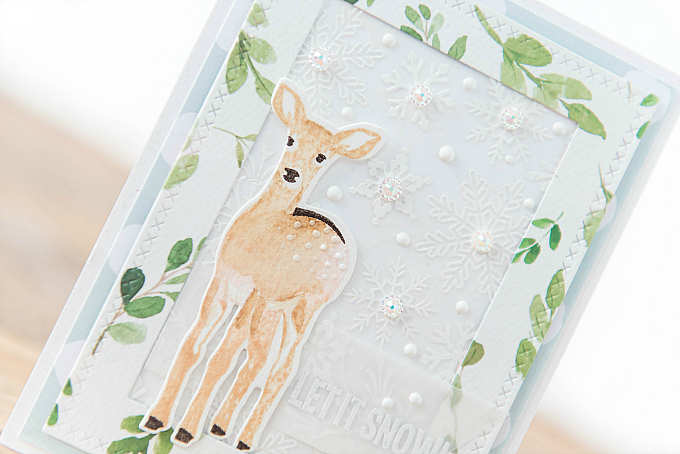 After embossing, I added iridescent rhinestones and Nuvo drops to create a twinkling effect. I used white cardstock to back the vellum. I found that the snowflakes were competing with the aqua background a little too much for my liking. I then added a frame of greenery and adhered these layers onto my card base. 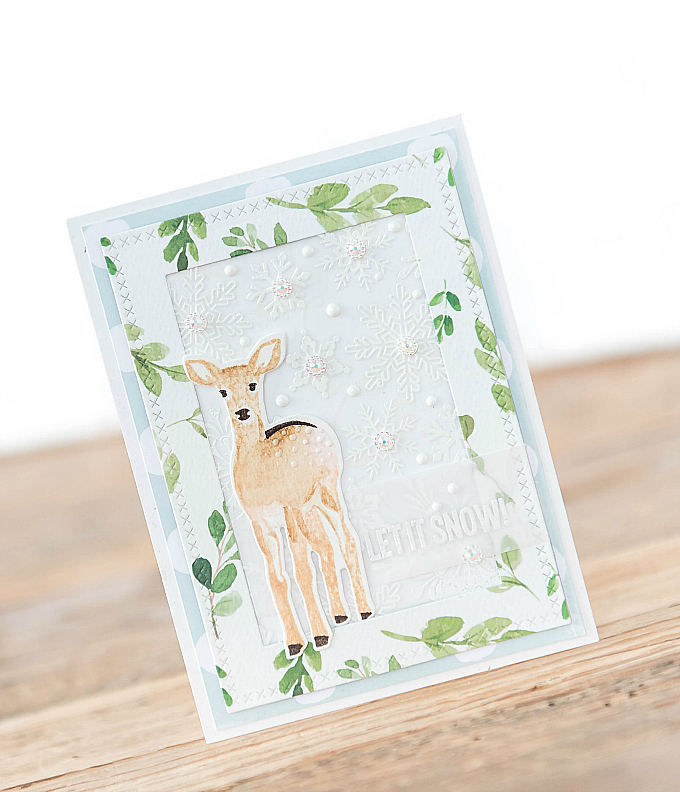 Lastly, I stamped and die cut this sweet little deer, using Altenew's Modern Deer stamp and die set. 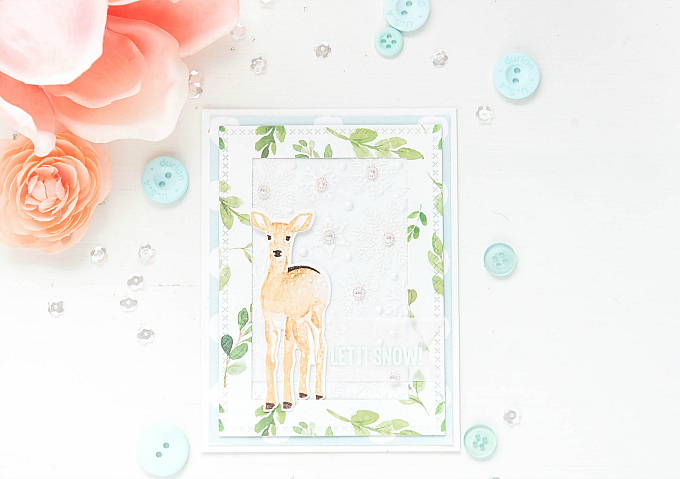 I stamped the deer with PTI's Fine Linen, Classic Kraft and Sweet Blush. I made sure to ink up the blush around the underbelly, and then used my water brush to blend all the colors together, and added some more shading using my brush dipped into the ink cubes. For the final stamp layer, I added the dark details in Smokey Shadow and a few Nuvo drops to his hide. 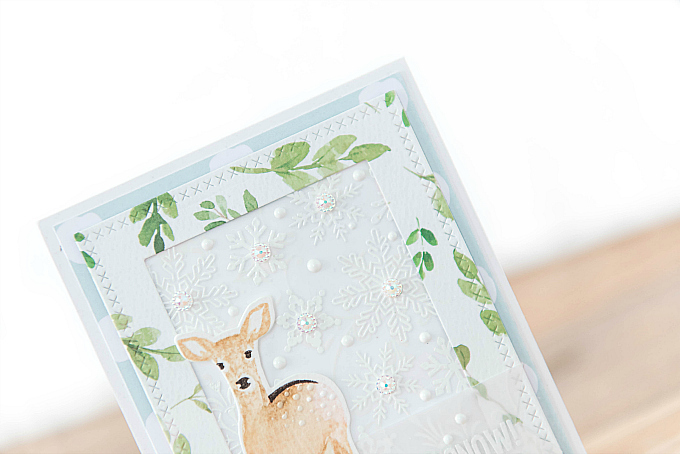 I love how happy this card makes me - I think it captures the beauty and stillness of winter. 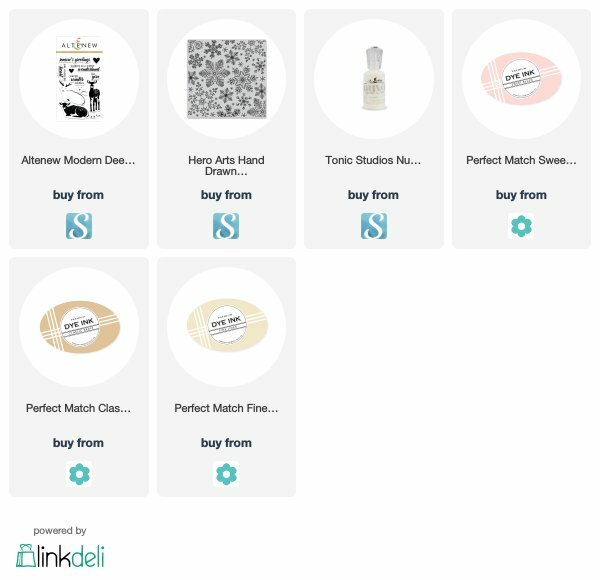 I love seeing what you create! I hope wherever you are, your winter wonderland is just as magical and full of joy! This is so beautiful!! I LOVE the background and the soft way you colored in that deer!!! AS usual, STUNNING design!! This is just lovely Ivana! Eveyr element is wonderfully peaceful. Beautifully done!